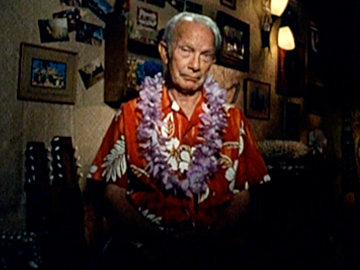 Bill Sevesi was the 'Godfather' of Polynesian music in New Zealand; his impact can be heard in the strum of ukeleles in classrooms across the country. 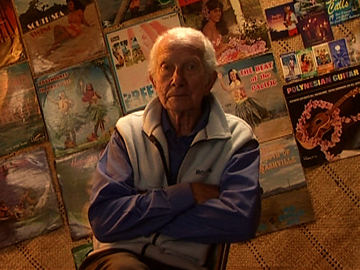 In this 24-minute film Sevesi (born Wilfred Jeffs) narrates his life story, including his childhood in Tonga, making his first guitar, and his role in bringing Pacific Island music into the dance halls of 1940's and 50's New Zealand. Sevesi's bands mixed Hawaiian steel guitar with pop tunes of the day, resulting in sunny hits like 'Kissing Hula'. Watch out for uke player Sione Aleki, Tonga's answer to Jimi Hendrix. This episode of arts show Mercury Lane features legendary musician Bill Sevesi, and poet Sonja Yelich (mother of musician Lorde). Sevesi takes centre stage: various musician friends join him to reminisce about packing Auckland dance halls in the 50s and 60s (at least until the arrival of 10 o'clock closing). After celebrating his 79th birthday, Sevesi is still as upbeat and music-obsessed as ever, especially when it comes to his beloved steel guitar and ukulele. In the final clip, Sonja Yelich performs her poem Teeth, with wry accompanying visuals from director Fiona Samuel. 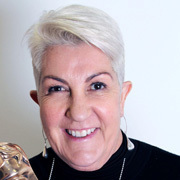 Kiwi hair and makeup artist Lesley Vanderwalt won an Oscar and a Bafta for her work on Mad Max: Fury Road. She also collaborated with director George Miller on Babe 2, Nicole Kidman mini-series Bangkok Hilton and the second Mad Max movie. The onetime Wellington hairdresser had makeup duties on early Kiwi classics The Governor, Skin Deep and Bad Blood, before a slew of Australian credits (Shine, Moulin Rouge!). 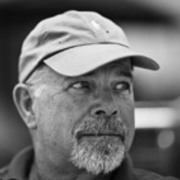 Peter Sharp is one of New Zealand's most prolific directors of screen drama. Though his directing work covers the gamut from police shows and soap satires to live performance, Sharp is best known for his work helming kidult dramas - including Maurice Gee period tales The Fire-Raiser and The Champion. He also directed award-winning mini-series Erebus: the Aftermath.